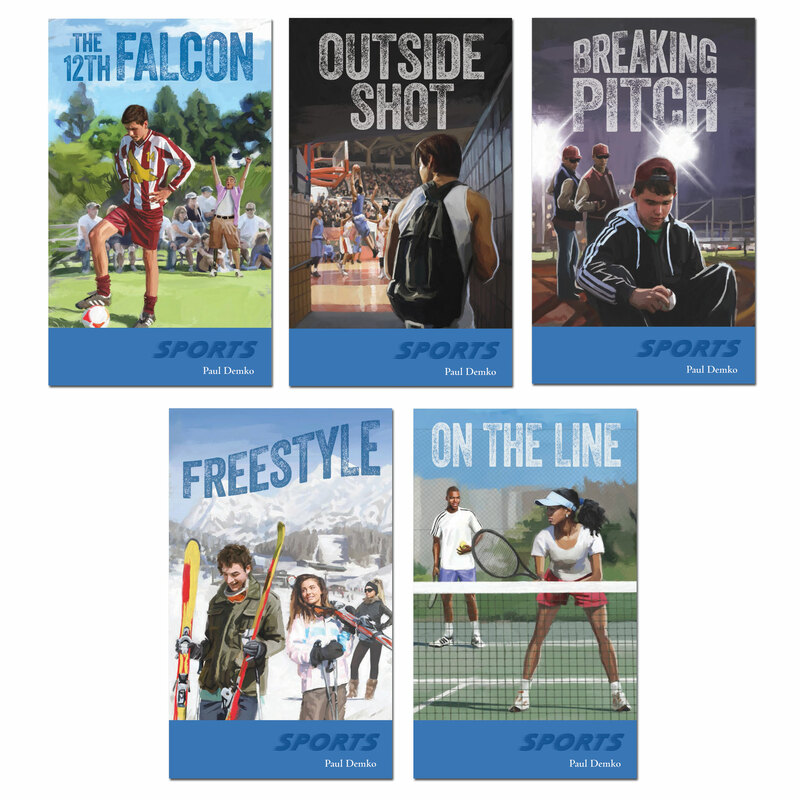 Teenagers reading at a fourth/fifth grade reading level will enjoy reading these books about teenagers facing realistic obstacles while striving for an athletic goal. 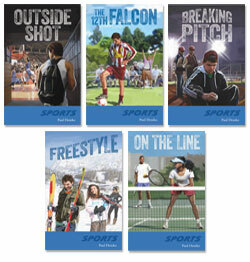 Each book is centered around a particular sport: soccer, baseball, skiing, tennis, and basketball. Kevin just wants to play soccer, and maybe get Terri to pay attention to him instead of the star quarterback. The star of the rival team has a grudge against him. His father's dreams are weighing on him. And he's not sure what Terri really feels. Ever since his mother remarried, Andrew felt like he didn't fit in. Some people left him out because he was too Chinese. Others, because he wasn't Chinese enough. If he could only get the chance, he knew he would make everyone see him as just Andrewor maybe Andrew the basketball star. Micah, the new outfielder on the Bulldogs, makes a critical error that loses a game. Now he's got enemies on the team. If only he were a better player! An unexpected ally helps him find a hidden talent that just might bring the bulldogs closer to victory. Kyle has had a lot of bad luck, but his latest freak accident seems to have changed all that. He doesn't know how he did an inverted aerial ski jump, or even really what that is, but suddenly, he's very popular. His new friends want him to jump again. Will he get lucky and survive one more time? Jazmine goes to summer tennis camp without really wanting to. Sports are just not her thing. Still, she's happy to find her best friend Blanca at the same camp. Even more than that, she discovers she can play pretty well. Now she faces a more important challenge.